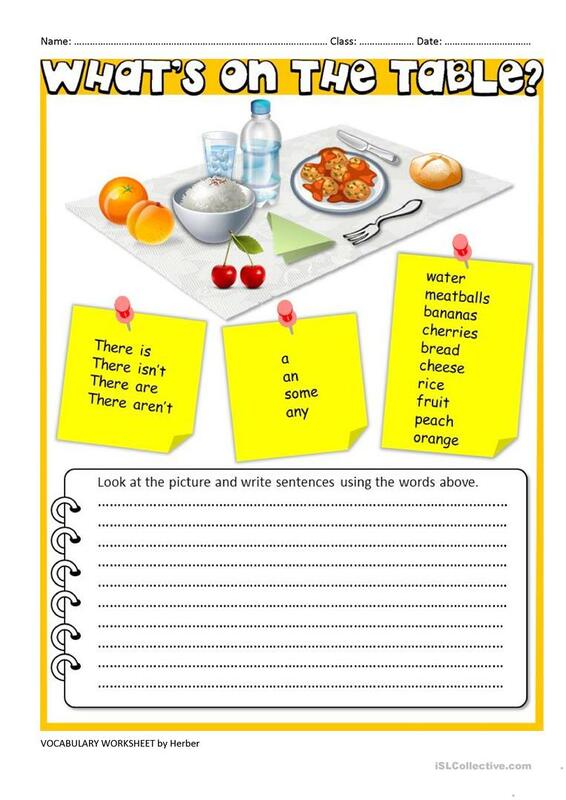 Look at the pictures and write sentences using There is - There are. The present downloadable teaching material was created for high school students, elementary school students and adults at Pre-intermediate (A2) and Intermediate (B1) level. It is valuable for consolidating There is / there are / there was / there were / there will be, etc. in English, and can be used for honing your class' Writing skills. It is about the vocabulary topic of Food.